Hello ladies and gentleman, Pink Cookie Games around. I’ve been working in the past few weeks on the Ship Equipment Window, I stopped a little bit this week to make room for some changes and a new version to be released tomorrow, perhaps. This version will have 2 new pics (1 Silver, 1 Free), some changed behavior on space shooter/travel mode and mild bug fixing. I’ll post on the blog the links for download with the changelog as soon as everything is finished. Status is currently “on test”. 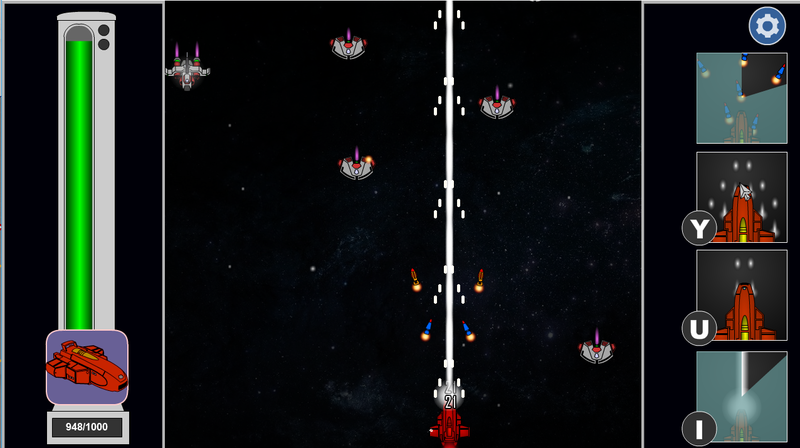 To not make this post plain text, here is a pic of the space shooter with some of the new weapons. With all said, I’ll be heading off for now. Over and out! can i ask question ?